... a local community group supporting families in the Ottawa/Gatineau region. The RRRR (aka Pirate Carry - Arrrr!) 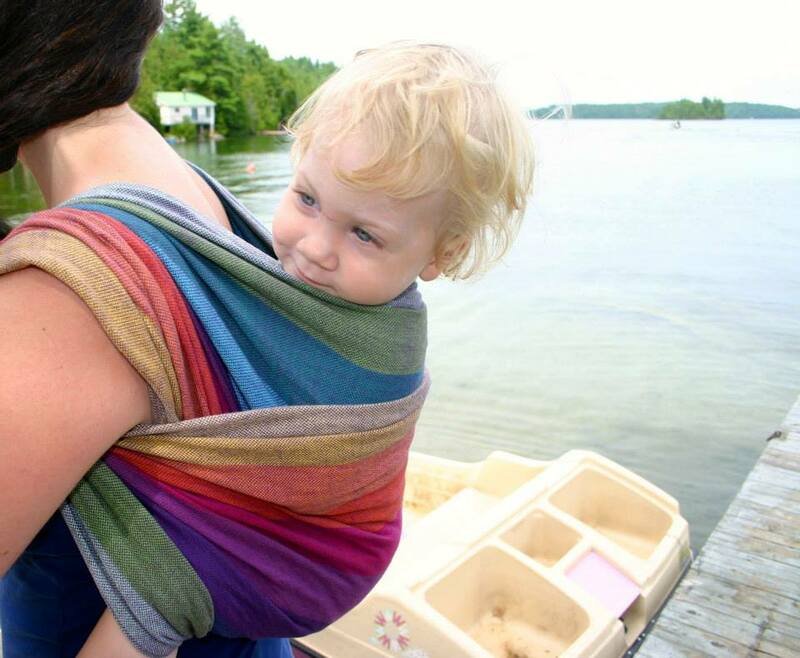 is a secure back carry that can be tied with a short woven wrap, usually a size 2 or 3. - Place the middle marker of the wrap on your chest and bring it around to your back. Where the wrap crosses your spine is the spot on the wrap where you will center baby. - Get baby onto your back and create a good seat. Bring both tails over your shoulders. - Your tails will be uneven. Using the long side, bring the tail under your arm, across baby's back and bum, and under the opposite arm. - Tie at shoulder, tie a candy cane chest belt, or do a knotless or Buleria finish. http://youtu.be/1O8Zn1WKhBA?t=2m22s (Faith) - Tied at shoulder, knotless Buleria finish, and candy cane chest belt. The Perfect Day For A Picnic! Thursday Thought: What Do I Do? Have Baby... Have Carrier... Will Travel!